This unbelievable brochure showcases 140 cruises of different themes, lengths and locations: Cut through the Caribbean, meander the rivers of Europe or relax in luxury aboard pampering ships you won’t want to leave. Whether you’re new to cruising or a seasoned veteran, Titan Travel make finding, choosing and booking the perfect cruise a breeze. Be as adventurous as you dare or take it as easy as you want with flexible itineraries and coach tours to whisk you away wherever you want. With modern, comfy, roomy and luxurious coaches, even the journey itself is a treat. And with a shining collection of UK and European trips, the destination will always be spectacular. Whether sand, sun and fun or culture, discovery and adventure, order the Just Go! brochure for a voyage you wont forget. Husqvarna make gardening a breeze. Their massive range of quality, flexible and adaptable landscaping machines will guarantee to transform how you work outdoors. Whether a professional gardener or a weekend enthusiast, this eNewsletter gives you offers on a range that’s fit for any budget. Keep your garden in shape this winter with powerful chainsaws, awesome lawnmowers and machines you never knew existed. 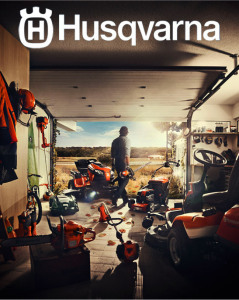 Sign up to the Husqvarna eNewsletter to discover it all. Can you imagine a world without tigers? Elephants? Coral, plants or trees? It’s best not to. If you want to discover new species, protect those we have and join people across the world who help defend the rights of nature, sign up to the Fauna & Flora eNewsletter. You’ll receive inspiring stories and life-defining footage of how glorious our world can be. Plus you can help be a part of the solution – ensuring we don’t lose animal and plant species we can’t ever replace. 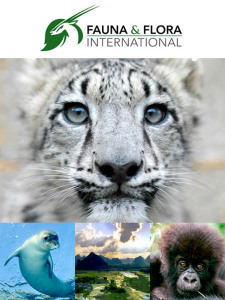 Join vice-president Sir David Attenborough and sign up to the Fauna & Flora eNewsletter here. How to settle down to a great book this Christmas! Sit by the fire, put your feet up and tuck in to whatever page-turning read takes your fancy. 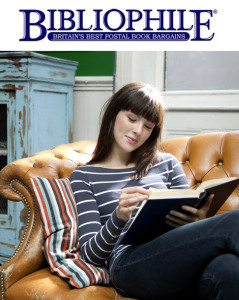 With thousands of available books, Bibliophile keep their prices low and their range fresh. From timeless classics to modern thrillers, you can browse a collection that’ll keep you entertained at every occasion. Whether you like romance, fantasy, history and music, order this catalogue to never be stuck for something to do again. Imagine Ireland lets you find the perfect setting from which to experience your ideal holiday. Whether to relax, explore or enjoy the scenery, their collection of glorious cottages caters to whichever of your needs comes first. Stay by the coast, surrounded by countryside or in a picturesque town and tailor your accommodation to exactly what you demand the most. See the full extent of Ireland’s beauty and potential. 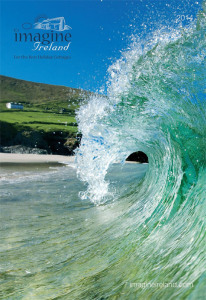 Order the Imagine Ireland brochure here. 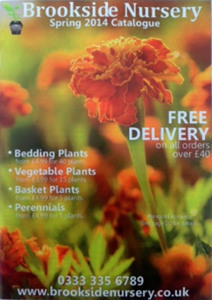 This catalogue will ensure you enjoy the perfect garden all year round. Brookside Nursery lets you choose whatever bedding, vegetable and perennial plants and flowers suit you best. Quality seeds, growth and delivery ensures they get off to the best start there is. And with lots of handy tips, equipment and essential extras, the catalogue will have you becoming a horticultural king or queen whatever your expertise. Enjoy the outdoor space of your dreams with Brookside Nursery. Order the catalogue here. 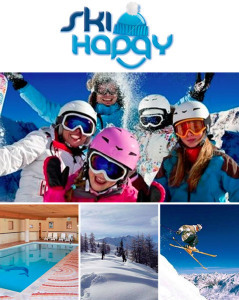 Ski Happy specialise in unforgettable skiing holidays to a snow-capped selection of resorts. Catering for every budget there is, they’ll guarantee to whisk you away to the winter resort of your dreams. Whether a pro, a beginner, on your own or with the kids, this eNewsletter gives you the tools, tips and offers you need to ensure this winter brings you the best skiing holiday you’ll ever have. Don’t wait for the snow to melt, sign up to their eNewsletter now to make the most of it! Freewheel Cruises specialise in affordable river cruises along some of the most scenic routes the world has to offer. From the meandering beauty of the Danube to the exotic wilderness of the Mekong, you can see breath-taking sights from the comfort of an all-inclusive riverboat. Interested..? Then order your free guide to find out what you haven’t yet discovered! Gifts for Girls and Presents for Men make present-buying fun, easy and affordable. Their collection of quirky, practical and simply awesome gifts will satisfy even the most picky of people – so you won’t have to worry about birthdays, Christmas, anniversaries or Mother’s day ever again. Check out a catalogue that will make you wish you could buy it all. Order it here and have buying gifts and presents sorted forever.